nahi mere dost Baba Ramdev ji is a businessman not a badman !! hahaaha…Aur kya business kar rahe hai woh janab? 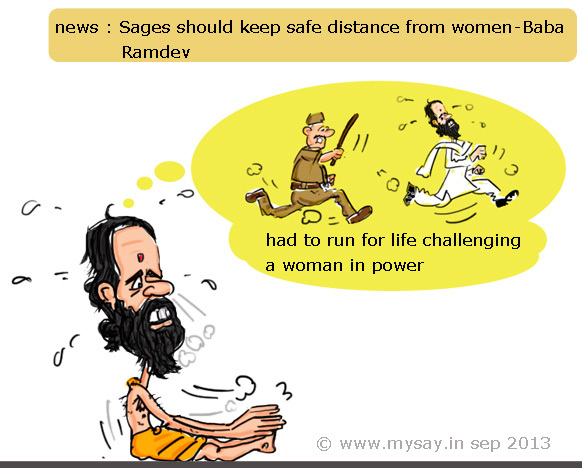 Hmm..is that so Ramdev, the only one who came to earth directly from the sky. Btw, nice doodle buddy.